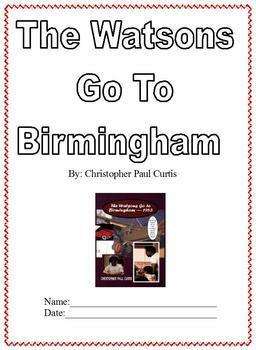 This 7-page packet contains a summary of The Watsons Go To Birmingham by Christopher Paul Curtis. The story is used in 8th grade general education. I modified this for my students who work on an alternate curriculum. There is a summary of the story with picture clues to assist students. There is also a page of notes about the characters and setting. Lines are provided below the text for students to copy. 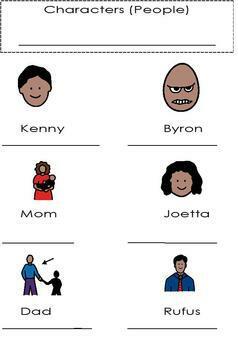 A matching activity is provided, using pictures relevant to the story. This is also an excellent resource for a modified book report for students who are not on grade level. 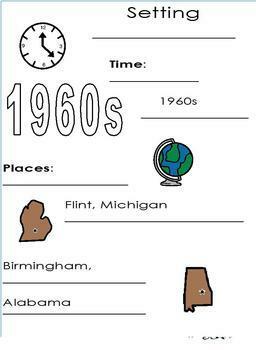 This worksheet is also a good resource during black history month.